Very nice logical game. 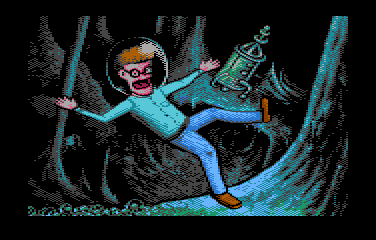 Our protagonist is a scientist, Mr. Trzaskowski, who visits the caves of Jupiter in search of "mystical X4 Almonds". We have to collect all of them. That "tensor" is a tool which allows us to change the direction of gravity (left/right + FIRE). You can download the game for example from here. 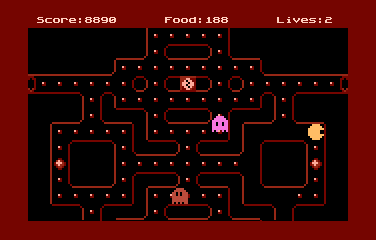 A Pac-Man clone written in Mad-Pascal: some new shapes of levels, vertical scrolling, etc. After each game there is DataMatrix picture displayed, which allows to send the score to High Score Cafe site via a smartphone. The level editor can be found here. Edited by +Adam+, Tue Aug 15, 2017 12:46 PM. 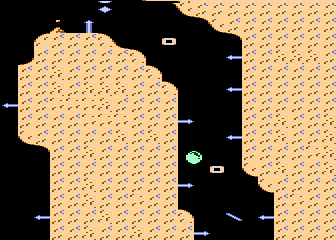 The game refers to "Piekiełko" (from 1992), which title means "Little hell". In a similar way as in that earlier title, it's a pixel perfect game and requires a lot of precision from the player. Finally, there was also Sikor's entry in the competition (which took 4th place), but he hasn't published his game yet. Cool games, thanks for sharing them! Love the music in Tensor Trzaskowskiego, and neat game concept as well. Yesterday I tested Piekiełeczko and coincidentally this morning I played with Piekielko. I noticed the similar gameplay but didn't notice they have a similar name. "Tensor Trzaskowskiego" is awesome. Love those blocks in different colors and music is cool. sad why they did not entered ABBUC contest? Why "sad"? It's just a decision of the creators. For many Atarians in Poland local parties are more important than ABBUC contest. I totally do not understand Tensor Trzaskowskiego, but made it to Level 10 anyway. Will check at Fujiama if one can explain to me how to play it right. 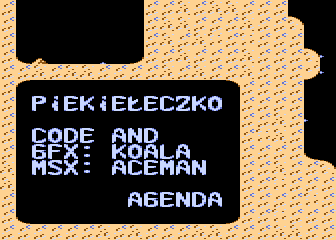 Is the first game also playable when you are not known with Polish language? What fabulous to see that there are new games again for little atari. I love this computer, and with new games it keeps alive. Thanks. Thanks a lot to poster and authors of games. You keep the scene and the a8 alive. Find differences on pictures. 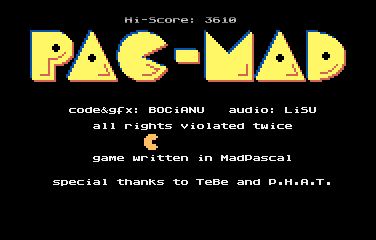 Games fully written in Turbo Basic XL by me and Pinokio (we want write it on Basic XE, for extendent RAM, but many bugs in B XE was greater than our qualify). Probably game has some bug, but it is party version and I don't make after party version. If you like games like this - please, write comment. 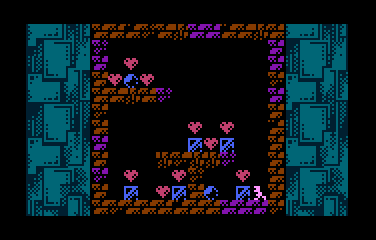 Maybe I write optimazed version of this game with more gfx and other title. In this stage in game we can use up to six differences - see code. Cool puzzle game and a neat idea. Thanks to the makers. Completed in less than an hour, though... need more puzzles! Why do people only imagine things after they'd seen it? Correct me if I'm wrong, but isn't it the mode you showed us in that Basicdemo ? Edited by Irgendwer, Thu Aug 17, 2017 7:51 AM. 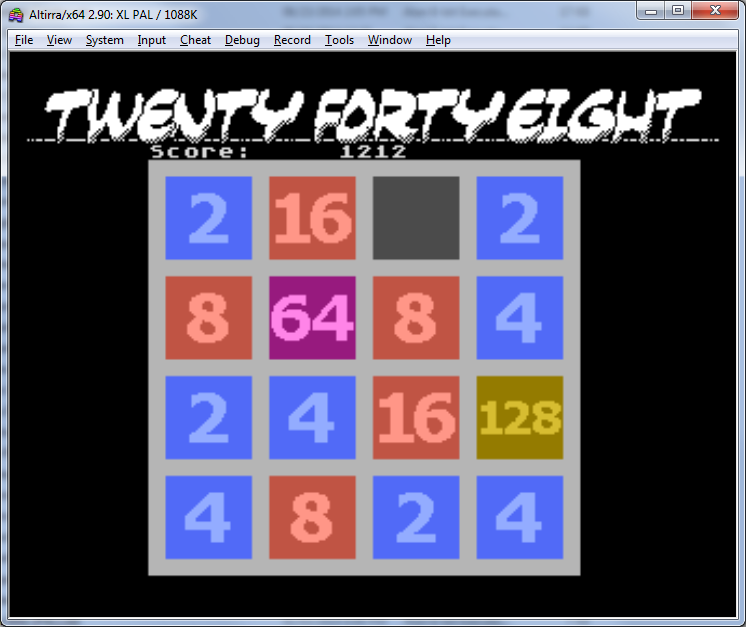 Reminds me a little of 2048... which is good, because I'd forgotten about this cool game.